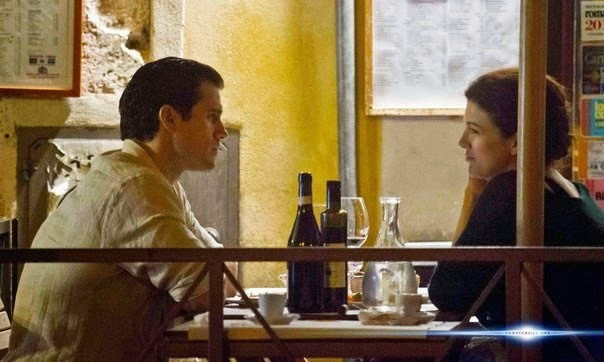 Nice to see Henry getting some time to enjoy the city before The Man from U.N.C.L.E. filming goes back to England. Gina looking great as always! Idk, I still think it was kind of sh*tty of her to bail out on him during the MOS tour. I mean if she did have trouble handling it then how's she gonna handle his new schedule and the popularity he'll get when MFU and MOS 2 come out. She seems like she's really nice, but he really needs someone that will support him and not get jealous during times like that. Which is why I think they might just be really good friends. Not that we'll ever know for sure, but I've heard that was just the spin his PR set up to explain why they parted ways. They didn't want him attached during the MOS tour. Then the Kaley Cuoco showmance was cooked up to boost revenue, but that backfired. She may be the jealous type, who knows? My money is on PR pressure on Henry's side tho. 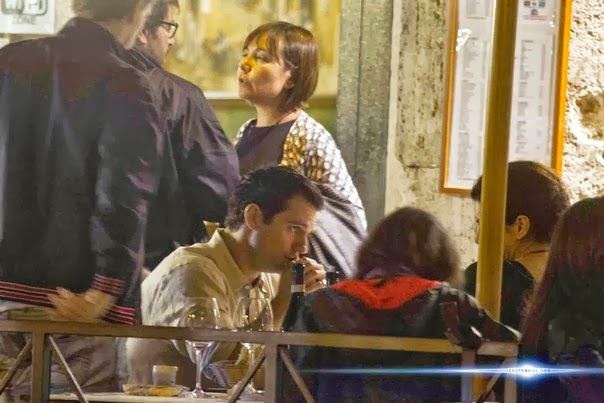 No woman in their right mind would bail on Henry, especially if you're Gina....cause his popularity can only benefit her personally, and professionally. Both of which will explain why she will take him back in a heartbeat if the opportunity arises! Booted to the side or not, watch that space! In those pictures, Kaley was all over Henry. Now she's already engaged to another guy. Sounds like she was the one on a man hunt. 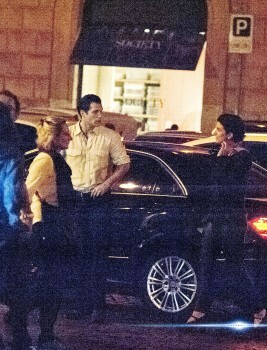 And Henry had no problem at all being with Gina on red carpets or taking her to other events. For months. So that whole crap about seeming unattached during MOS promo holds no water. You believe evrything blindgossip tell you? She's already in the US. Maybe just friends? Really ? after dumping gina for kaley ??.. i hope they are just friends cause she would be just dumb if she would go after henry.. i think gina is a very cute person but henry really?? its getting more obvious that this is all for the press.. but if not .. he is happy and thats whats important. She would be dumb to not take him back, as hurt as she may be! I'm not just talking personally, but (sadly) professionally she would be a fool not to try and get back together! Henry didn't dump Gina for Kaley. Kaley came out out nowhere AFTER Gina had left the picture. By well over a month. And after seeing the way Kaley was all over Henry & then to find out she already got engaged to another guy, it seems like she was the one on a man hunt. And you know when they broke up and why? How are you privy to this info? Quit spreading innuendo/rumors..
We have no idea what went on with Gina & Henry. I think they were adorable when together. For the press - are you serious??? How in the heck would this be for the press??? Why does everything have to be media related??? I want to see Henry happy. When they were together before he looked pale, washed-out and not happy at all. The only thing that's makes this easier to look at is his gorgeous smile. I want him happy and healthy all the time. The best I have seen Henry is when he has been happy and promoting his movies via press tours, or Premieres. "For the press - are you serious??? How in the heck would this be for the press???" Agree. Not everything has to be for the press. We,ll find out eventually if they are or aren't together. LOL at the "idk, I still think it was kind of sh*tty of her to bail out on him..."
when has ever acted like he was getting a big head? and skipping out on autographs? as long as I've been following him, since the Tudors, he's been one of the nicest & most approachable guys out there. It was evident on red carpets that she was uncomfortable. It's so lovely to see him so happy and relaxed! 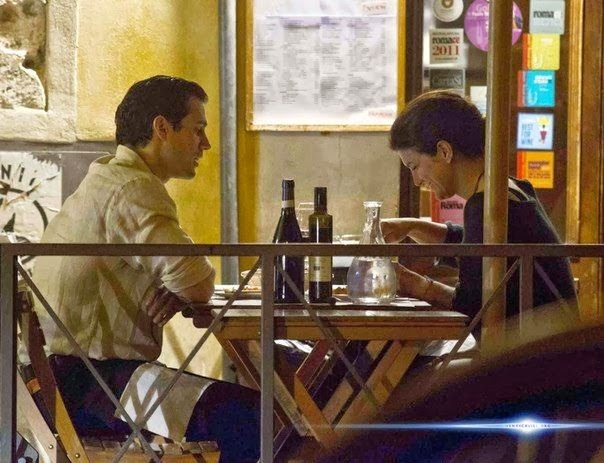 Who knows if they will get back together, she could have just flown in on his down time to catch up and keep him company? If his PR team have anything to do with it, it won't become a sure thing again anytime soon tho! It's nice to see people not hating on Gina's appearance here....which has always baffled me. She is a really naturally pretty girl. Not that that is the be all end all anyway, but it certainly make me cringe when I see unwarranted derogatory remarks thrown about! 99 percent of the male population including Henry Cavill will disagree with you. She may not be photogenic in some photos but she's a beautiful woman. So agree with you!! She is beautiful. I highly doubt men would classify her 'not even remotely attractive', even if she wasn't their cup of tea. That's jealous female talk and slander. Tearing another female down on forums based on superficiality and looks makes you (and all the other women/men like you) the truly ugly ones, on the inside and out. She doesn't float your boat? Well who gives a damn, because you're not in a relationship with her, and if you were a fan of Henry's you wouldn't slag her from the sidelines. 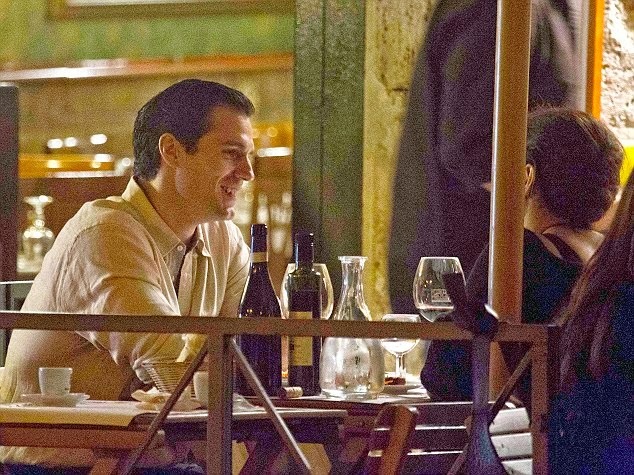 It looks like they were genuinely happy to spend time together. They were both beaming. I love to see people happy. Especially Henry. 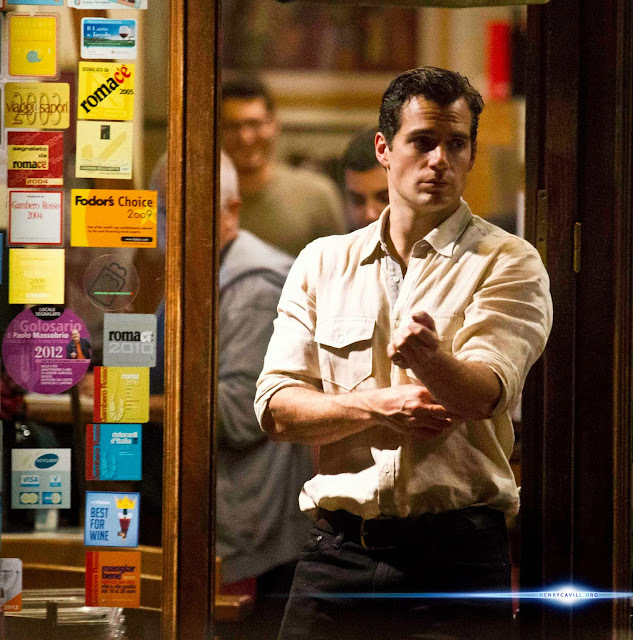 Thank you Henrycavillnews. for the positive news you give us. I still think that ultimately he'll end up with a blonde. Gina was blonde and she just dyed it back to black 3 weeks ago. She wasn't blonde, she had more of an ombre going on. Henry seems to like brunettes too, but he definitely has a much softer spot for real blondes. Probably 'cause his mother's one. I don't think they made that up, he admitted in some interviews that he prefers blondes more than brunettes and redheads. This is when Ellen Whitaker (not a "real" blond BTW) was in the picture. OF course, he would say he preferred blonds. He was engaged to her. I think they had a friendly end up (and all the rumors are false and he didn't dumped her FOR Kaley) and now they are friends. It's certainly not uncommon for people who break up to get back together again, and he's completely focused on her in every picture. Good for them. I also don't understand trying to blame this person or that person. They're all adults and work in Hollywood. They know how the game works, so let's not treat this as if we're talking about HS teens. they're not 'stories', it's speculation. And it's only being thrown about because of the Kaley Cuoco mess - which, if you follow this such site - http://blindgossip.com/?p=54959 - pretty much spells out it was PR stunt. Well I say 'pretty' because there is always room for doubt in media and press, but I'd say they're on the ball tho. Many contracted PR relationships they've put a blind story on, have funnily enough fallen though right on schedule. I don't think Henry and Gina were that type of relationship, but it's hard to not look at his romantic actions now without questioning somewhat. 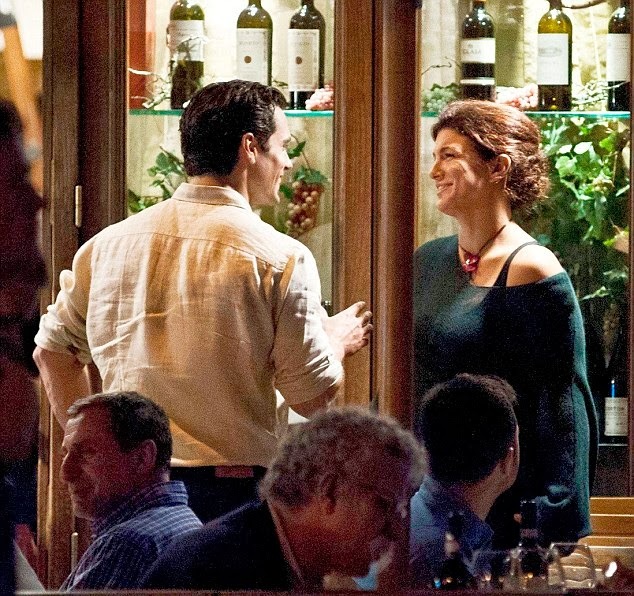 I don't know why people think the timing of this photo of Gina and Henry was a bit off like how? First of all I don't think Henry's life revolves around KC and I bet he could careless about her. If anything Henry is in love with Gina like hello he spent more time with her than to Ellen Whitaker!........ and for those people wondering Gina was already in Europe since last week of September so that means they already met up before the announcement of Kaley's engagement. Henry hasn't spent more time with Gina - I think what you're referring to is - you've seen more coverage of Henry WITH Gina, well purely because when he was with Ellen he wasn't as prominent , and people weren’t taking happy snaps 24/7. Not sure how you know that Gina was in Europe before the KC announcement, but I’d say that’s a wild stab on your part to make your case seem more legit. I think there is true affection there, hopefully they’ll get back together – but that doesn’t mean it’s definitely not PR related….. I think Ellen (really) didn't have the time to travel, she has a demanding career, too. 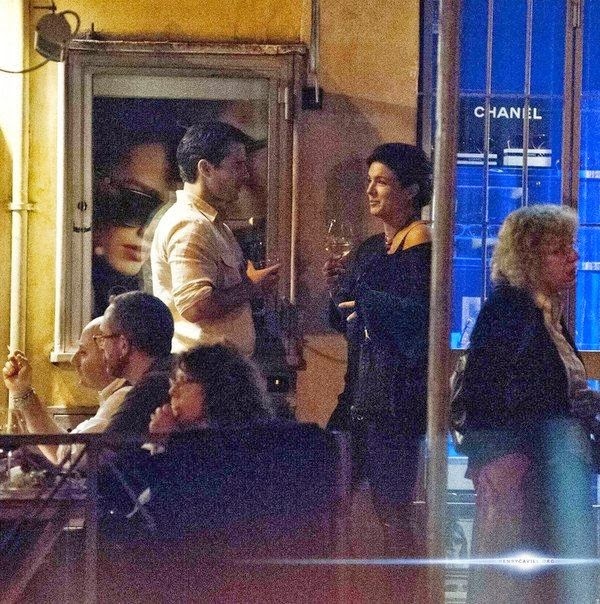 I read that when they were together people saw them several times in bars in London but of course it's more difficult if she coudn't travel and visit him. She gives her career the same attention he does, that's ok I think. But if you really love someone you make some changes. Thanks God they didn't get married. There's a pic of them with one of his brother in Chicago, but to continue with a relationship and an engament, you have to be there, right? When they were engaged it was (for me) very weird that they didn't spent Christmas and NYears Eve, and the next May we knew they have finished their relationship. Maybe Gina has more time, I've read her movie (the one she filmed in Puerto Rico) is going to be directly in DVD, no movies... I don't know if it's true! For me he's not with Gina, and they didn't fight as some rumors were wrote, and they are friends... I don't like Gina but I'm not here to say bad things about her. I really think he has to be more smart to avoid damage his career (example Cuoco's gossips. I'm sure they just dated and she called paps but...) Hopefully, he's gonna find the right woman for him, would be better if she's not in the showbiz because clearly it doesn't help him, at all! KC announced her engagement in OCT 2 or 4th. Gina was already in Europe by late Sept and she returned in the US on OCT 8. Also add what she posted on her IG. She was on a film set so my wild guess she could be doing some cameo in a movie and the closest I could think of is Expendables which is filming in Europe right now. So my point here is their meeting/date has nothing to do with KC or some PR stunts like what some people are assuming. I just don't understand why they kept on talking about kaley. 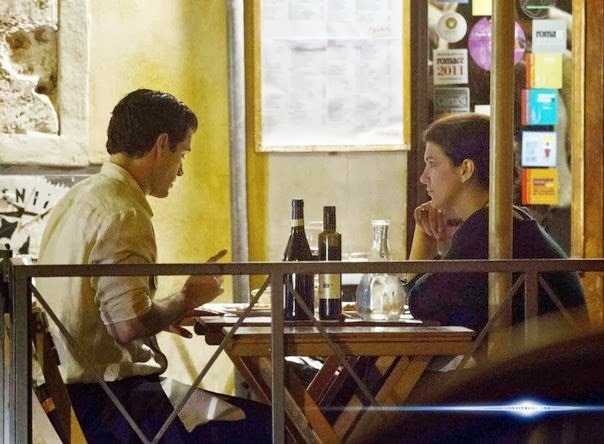 This date was about Gina and Henry and has nothing to do with that girl! how do you know where Gina was/is?